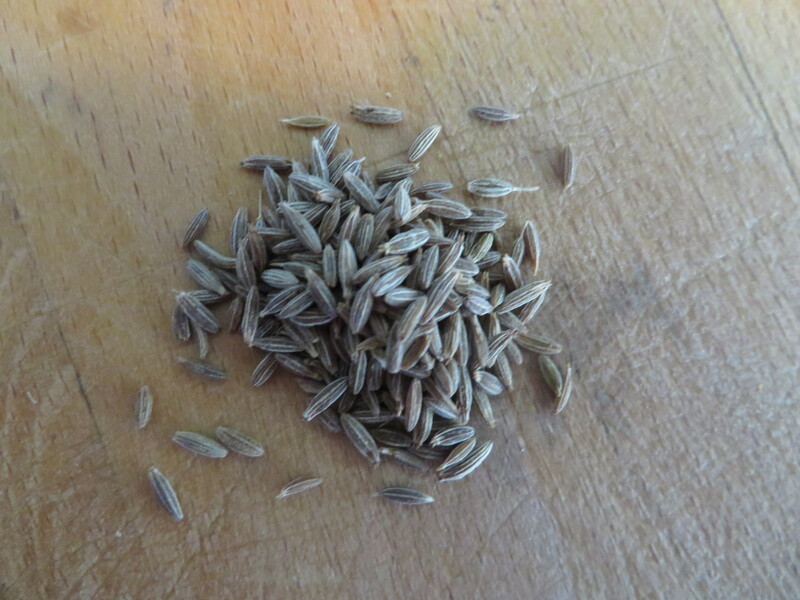 Cumin is a seed, similar to caraway, and a relative of the parsley family of plants. It is an ancient spice and evidence of its use has been found not only in Egyptian archeological sites but also in the Bible. Ancient Greeks were known to keep cumin at the dinner table to use as a crushed seasoning and Indians have used cumin medicinally for millennia as a digestive aid. Middle Eastern, Asian, Mediterranean and Mexican cuisines, all use cumin in various dishes and it is one of the main ingredients in curry powder, sofrito, and some French cheeses. Cumin is a warming and savory spice, slightly bitter and nutty. Its flavor is very distinctive and cannot usually be replaced in a dish. The seeds can be ground into a powder and added to recipes and curry powders. Dry roasting the whole seeds before grinding adds a lovely new flavor dimension and worth a try. In Indian and Middle Eastern cooking, cumin seeds are often sautéed in oil before other ingredients are added in. In this way the cooking oil is lightly perfumed and permeates whatever meat or vegetable one is preparing. A pinch of ground cumin is a wonderful addition to mashed avocado and puréed cooked tomatoes and green bell peppers (think baby salsa). For Indian-inspired dishes, cumin powder pairs well with potatoes, eggplants and carrots. Middle Eastern-style and Indian-style lentils pair wonderfully with a pinch of cumin powder.